I keep a notebook with my book club comments and the pages for The Shack are full of quotes that spoke to me and blessed me with more than several “a-ha” moments. What a picture that paints for me. Everything in my life moves and breathes by the power of Holy Spirit (the Wind) – I don’t want to restrict my life to priorities and rules. I must be quiet enough to sense the blowing wind (Holy Spirit) moving me this way or that way. Prompting me and impressing upon me to act. If God is the center of my life or wind chime, then He, as the great Three-in-One, is Who influences the movements of the other parts: family/work/friends/church/hobbies/activities/times of rest/my thoughts/and all of the minutia of life. The standards for my life come from the Word of God – the Living Word is my plumbline – I measure everything according to His Word and His Truth. Plainly, it just makes everything easier. Maybe instead of what would Jesus do? Maybe we should consider what Jesus wouldn’t do. Now, there’s a paradigm. I’ll let you chew on that one for a while! I don’t think I will ever look upon a wind chime in the same way. God, my All-in-all, being the “long” center piece directing all the other shorter pieces to move this way and that way and the beautiful sounds that come from the chimes when the breezes blow through my life. It is sweet, sweet music! Wow, Susan! Wonderful, wonderful, wonderful. You’ve made me want to read the book again. Ken/Diana, I couldn’t agree more – great book. Young totally blew up the proverbial box human doings tend to keep Him in! Beverly, I have not read anything else by Young. Have you? Book Club is a great encouragement. Thanks for visiting my blog – please come back often! Great article!!! I can’t wait until you come here!!! You will see why. I LOVE the analogy of chimes and moving with the Spirit! I often say He is singing to me when I listen as the wind blows…sometimes fiercely and sometimes so gently it is like a baby’s breath on my cheek. The interaction of each chambered tube with the others in unison – making such distinct melodies —WHAT a GOD we have!!!! Oh Susan , you hit the nail on the head! What a writer you are, and what a book, The Shack is. Everyone should read it and then read it again. Have your highlighter w/ you when you read it, and make notes. It says so much, about Love, Forgiveness, Trust, And Laughing with our Lord and Savior. For Him to Love us that much, that he would want to spend time with us, just talk with us, and let us walk on water with Him. I Can’t Wait to Walk on the Water with Him! I love that!!!! Great visual of the Wind Chime being our center. I have also read that book twice now and came away with so much more than the first. One of my “a-ha” moments was when Jesus said to Mack, “You are free to love without an agenda” (pg.183). No strings attached, no judgement, just LOVE no matter what. Whew…….that’s what I am most thankful for on this day, Jesus loving me no matter what!!!!! I loved the book. Young presented a LOVING Jesus that many writers have not/can not convey to their readers. I have lots to learn about “swaying with the breeze” but I am ready, willing and able to learn. Jesus is so much more than a list of rules and regulations. If we were to ever realize just how FREE we are in Christ, I think it’d frighten most of us! Lord………..let your wind blow….and don’t pass me over…………………………. This blog is one more brick in the house of hope that you have allowed God to build in you. You have lifted numerous people, including me, with the daily reminder that God is a hope-giver. My favorite scripture regarding hope is: Faith is the substance of things “hoped” for, the evidence of things not seen”. Hope is knowing that the same God who made us walks with us every moment of every day. Thank you for giving all of us readers MORE hope…..! I love the visual you shared…and I love wind chimes! I read The Shack several years ago; and did not have a notebook handy! As with all books I read, there are often quotes and words I’d like to save…I keep reading and don’t stop to jot them down. I need to start reading with a notebook handy – going back to those pages after reading more…doesn’t always work! 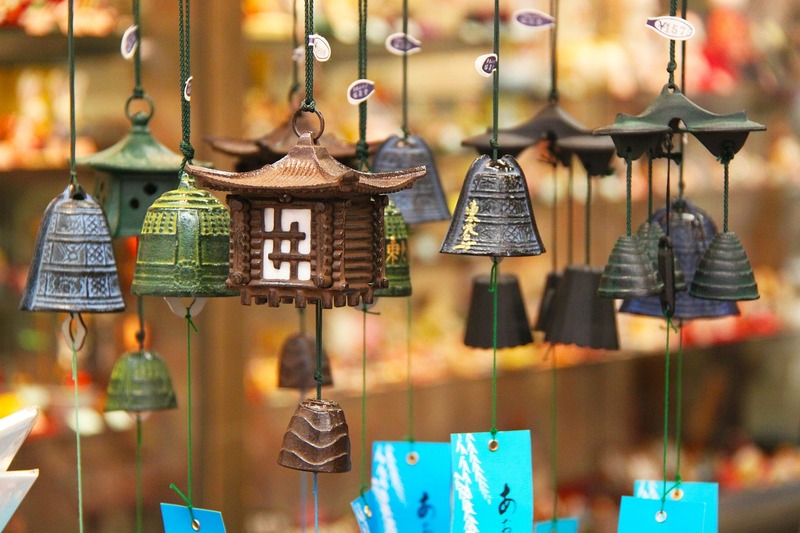 Thanks for sharing…I am with you, wind chimes will have a much different meaning for me now! In Him we move and breathe…Thanks for the stop-over, Barbara.